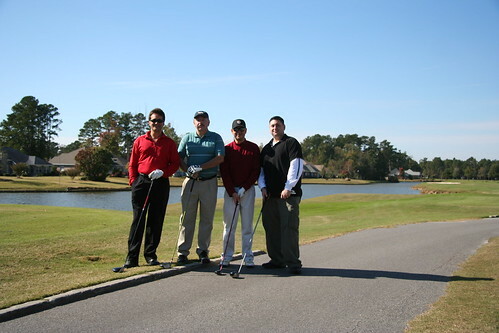 Golf – Myrtle Beach Trip – November 2008! Just got our confirmations for Myrtle Beach this year! Last year was a blast, looking forward to this year. Here are the tee times for your golf group. Thats a lot of golf!